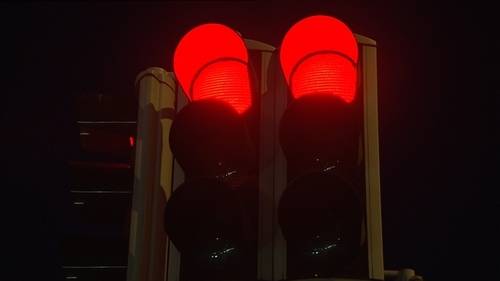 Cameras are to be installed at three busy junctions in Dublin in an effort to detect motorists who break red lights. The cameras are to be installed at Blackhall Place in Stoneybatter, Queen Street in Smithfield and Con Colbert Road in Kilmainham. It follows an 18-month trial period that saw cameras installed at the Blackhall Place junction. Under the pilot scheme, the footage was fed back to An Garda Síochána, who reviewed it and issued fixed charge penalty notices. The National Transport Authority said a review into that trial recommended proceeding with two additional camera installations. The decision has been welcomed by the chair of Dublin City Council's Transport Committee. Speaking on RTÉ's News at One, Ciarán Cuffe said the issue is a "real worry ... for anyone who walks through the city". Mr Cuffe said academic evidence from the UK suggests the cameras help improve driver compliance with speed limits as well as red lights. "I think it is good this will be put in more junctions in Dublin city," he said. "I think it will help people feel safer on the roads and it does apparently give around about a 15% improvement in compliance, which can only be a good thing." He added that he would like to see the full report on the pilot scheme before deciding to extend the scheme to more junctions. "I'm certainly pleased that it is being extended but I think it would be good to have the full report and based on what it says and based on what it says move it out to a lot more locations in the city," the Green Party councillor said.